Citation: C N Trueman "Royal Supremacy"
After the break with Rome, one of the issues that had to be decided on was who was to be in control of the Church in England and Wales. Many senior clergy wished for a solution that maintained a clergyman at the very top of the Church. They could see no reason why it should be any other way. However, it became clear that Henry VIII would not accept anything else other than royal supremacy and it is possible that Thomas Cromwell was in support of this. But this is far from clear. It has also been put forward that Cromwell did not want Henry to have seemingly total control of the Church and that he wanted what was called a ‘king-in-parliament’ to have the Pope’s former control. If Cromwell did want a combination of crown and parliament to have control of the Church, then he failed. Henry had no interest in sharing power and he saw the Crown as the only acceptable replacement for Papal power. This became very clear in the Act of Supremacy (1534). This made the king supreme head of the Church. The act simply confirmed the way things were by 1534. The proper full title of the act is indicative of the way the Reformation Parliament was moving: “An act concerning the King’s Highness to be Supreme Head of the Church of England and to have authority to reform and redress all errors, heresies and abuses in the same.” The whole issue of royal supremacy and the title ‘Supreme Head’ were not honorary. The Act made it very clear that the Church was now subject to lay control in matters of its day-to-day management and that it had no control over its own affairs. Many clerics had believed that the church would maintain control of its own affairs. However, by the end of 1534, Henry appointed Thomas Cromwell as his vicegerent in spiritual matters. This gave Cromwell huge powers and he was quick in using them. Cromwell gave bishops and the like very strict instructions as to what they could do and what they could not and he spent a great deal of time scrutinising the work that they did. Cromwell essentially used the powers that had been handed to Henry on behalf of the king. On paper, the move to royal supremacy was a major moment in English history. However, in reality the removal of the Pope’s power had a minimal impact. Pre-Reformation, the Pope had little ability to enforce his authority in England if the king was not compliant. While the Pope did have the power to agree or disagree with senior Church appointments promoted by the monarch, it was near enough a tradition that he invariably agreed with an appointment. Very few people were in a position to appeal to the Pope over issues of canon law simply because the financial cost was too great. While Wolsey held his position as ‘legate a latere’ he held enormous power within England and Wales but he cannot be seen as a foreigner who had influence on religious policy. 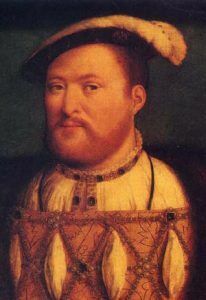 The popes would have found it very difficult to enforce their authority on a monarch and while it is true to state that invariably both sides worked together, this was a convention that could easily be broken – as Henry showed in the 1530’s. An example of how limited papal authority was in England and Wales was the fact that the Papacy extracted from both a minimal sum of money despite the huge wealth of the Church in England and Wales. A levy known as ‘Peter’s Pence’ raised no more than a few hundred pounds a year for the whole country. The accusation by the Reformation Parliament that the Papacy took vast sums of money from the country was not true and was done for propaganda reasons – to persuade the general public that what it was doing, was for them. If any pope had wanted to exert pressure on an English monarch such as Henry VIII, he would have needed the support of the major European princes. France, Spain and the Holy Roman Empire all had their own issues to deal with and probably could not have carried out an attack on England, which would have required a sea crossing against a navy that had a very good reputation in Europe. The only way the pope could have enforced his authority in England was at a spiritual level and by using the fear of excommunication. However, by the 1530’s, the whole issue had moved on so much that this probably held little worries for either Henry or Cromwell. One area that saw major changes as a result of royal supremacy was the law. For centuries men in holy orders could claim what was known as ‘benefit of clergy’. This was a system whereby anyone who was in holy orders could claim to be immune from prosecution. As documentation was all but non-existent then, a person only had to recite or read a paragraph of Latin to ‘prove’ he was in holy orders and escape the law. Royal supremacy swept away this legal anomaly. Sanctuaries were also done away with. These were areas of land that were outside of the law. Someone living in one of these sanctuaries could commit a crime outside of it, but because they lived in one, they were exempt from the law. Both benefit of clergy and sanctuaries were throwbacks to the time when the Pope and Papal authority were supreme and no one dared to question Papal powers. Though the number of people involved in both was limited, they both represented a situation whereby the authority of the king within his own kingdom was diluted. By removing the legal authority of the Pope in England and Wales, Henry was broadening his own power within his own realm. By removing these quaint aspects to the English legal system, it could be argued that for the first time the Reformation Parliament and Cromwell were initiating a process whereby the power of the government was more centralised – as much as it could be in Tudor England. This meant that the English legal system was now totally in the hands of the government as a ‘rival’ (though not an overly threatening one) was removed. Royal supremacy put more and more power into the hands of the government. One sure sign of this was that the Southern Convocation was now no more than a ‘side-show’. It was called to sit at the same time as Parliament but its power had to all intents been denuded after 1534. The part played by senior clergy pre-Reformation was no longer the case post-Reformation. With the exception of Stephen Gardner in the reign of Mary I, no senior clergyman played a prominent role in politics. After the dissolution of the monasteries, the House of Lords had a majority of laymen in it. Traditionally, the Lord Chancellor had usually been a senior member of the clergy. Wolsey was the last to hold this title as a senior member of the church.